•	Develop Integrated Marketing Communications Plan, which integrates all elements of the marketing function and defines key messages, key communications channels, target audiences and how effectiveness will be measured. •	Conduct in-house development of a range of high quality collateral which leverages the themes for each campaign to maximise return on investment. •	Develop high quality content for social and traditional media which complements each campaign and which fits within the overall marketing narrative. •	This includes website content development, media releases, social media content and video production. •	Formal qualifications in marketing, communications or journalism. •	Ability to achieve high level outcomes under time and situation pressure. •	Extensive experience developing marketing collateral and other communications content to a very high standard. •	Outstanding interpersonal, verbal, non-verbal and written communication skills and ability to engage effectively with a range of stakeholders. •	Impressive stakeholder engagement skills that influence and shape opinion and build long-term relationships. •	Demonstrated team building skills. •	High skill level in Microsoft Office. •	Valid Victorian driver’s licence. •	Willingness to undertake a national police check and obtain a working with children check. •	Possess an understanding of, or personal experience with, the veteran community. The Communications Officer is required to be solutions driven whilst working within a compassionate, respectful and client-driven framework. Melbourne Legacy is a not-for-profit organisation that provides support to the families of Australian Defence Force personnel who have given their lives or health in service to our country. When a veteran dies or is injured, the impact on their family is devastating, and Legacy has been there to protect their families from hardship for 95 years. We provide support to more than 5,500 veteran families, including widows, children, adults with a disability, and a growing number of families of veterans from more recent conflicts who are dealing with psychological and physical injuries. 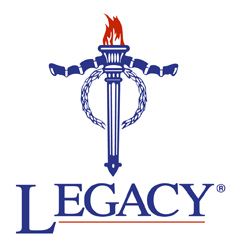 Legacy is the only national provider of support services for the veteran community who focus on the needs of the whole family. Please quote in application: Communications Officer via Pro Bono Australia.